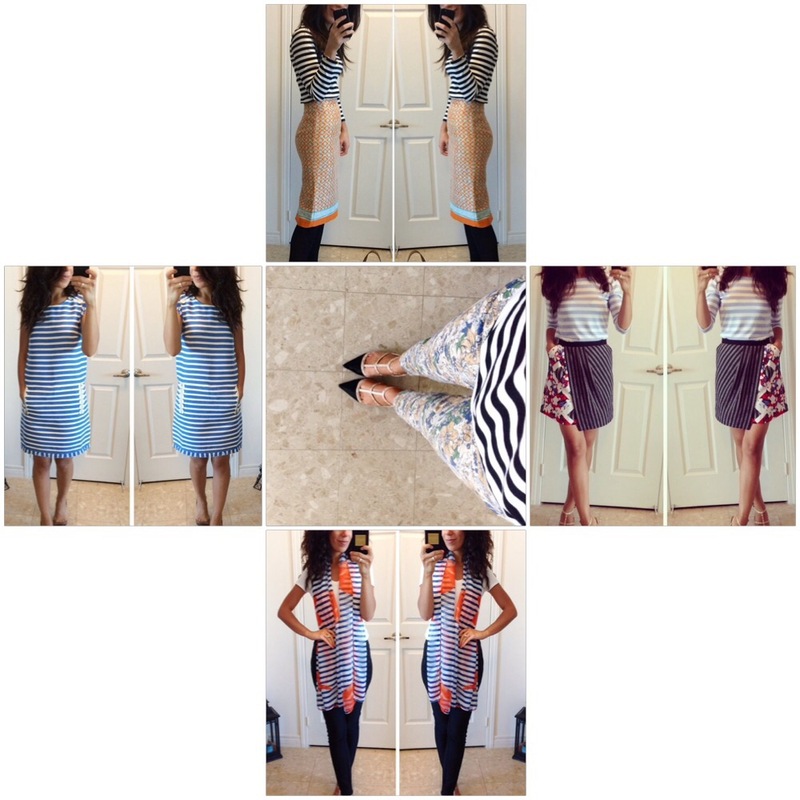 There are certain patterns or prints that are associated with different seasons. For example, floral for Spring & Summer… Jacquard for Fall. However stripes seems to be the most transitional and frequently seen all year. It’s the ability to make an outfit more casual yet maintaining a polished and finished touch. I have been recently finding my self buying more stripes by default and loving it! I have finally managed to pick out a pair of reading glasses. Since I was due for a new prescription, I started the hunt a few months back but couldn’t decide on a frame. I know I wanted it to be over sized, thick frame and not an overly populated or overdone designer. So when I finally found these William Morris pair I fell in love (truth be told I loved a Celine pair but went back and found out they were sold). Here are a few looks that I also liked. This might delight a few, but fringes are back and honestly better than ever. The “country” associated look is making a strong come back to the fall fashion scene and I couldn’t be happier. I am currently on a hunt for a black/Camel fringe skirt that I could wear with anything and in any season (wishful thinking lol). I am all for natural beauty remedies. I actually prefer them over chemical-filled over-the-counter cosmetics. So when I read that rose water could help with blemishes and acne, I had to try it. With the change in the weather, I am breaking out and turning to rose water for help. After washing my face, I pat dry and run a cool cotton ball (keep the rose water in the fridge) all over my face. Not only does it target and treats the breakouts, it calms the skin it smells divine. Cooler weather is finally here, and although I am not yet ready for my heavy duty jacket. I rejoice that I can wear this Cape jacket again. The cape jackets have been returning for the past few fall/winter seasons.